If you are a business or commercial property owner, you know the importance of keeping your landscape neatly groomed. 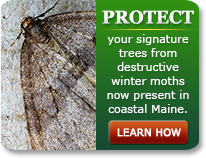 An important part of this process includes maintaining the appearance and health of your trees. For most business owners, tackling these jobs by yourself could involve risking personal injury as well as property damage. For those reasons alone, it is safer to leave this type of work to a commercial tree service company; experts who specialize in tree care. Proper care of your trees is not only necessity for their future health and for the safety of your customers and employees, it is a smart investment in your commercial property. For more than 80 years, Lucas Tree has been a leading provider of dependable tree services for homeowners and businesses. Protecting and sustaining the health of trees and their surrounding ecosystem so that they are strong enough to withstand the test of time more than our job; it is what we take pride in. Our team of certified arborists understand that when it comes to stabilizing an unhealthy landscape, there is no such thing as a quick and permanent fix. Good repair work can be an intensive process, but it is one that is well worth the investment. 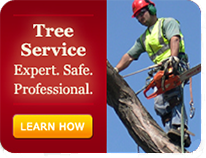 When you hire the experts at Lucas Tree, you can count on us to provide you with the services that you need. When it comes to our job, our dedication to conservation, improving wildlife habitats and conserving natural resources so that we are able to leave the land in a better condition than it was before is what sets us apart from the competition. Trees often grow with structural defects that when left untreated, have the potential to cause splitting or trunk failure that could result in personal injury or property damage. These structural defects can often be alleviated by cabling and bracing, which is a method of strategically attaching steel cables and brace rods to strengthen weak branches or even entire trees. When tree repair is not an option, removal is the only way to ensure that it will no longer be a danger to your property. In order to have as little impact on the surrounding landscape, tree removal needs to be done skillfully, and with the proper equipment. As part of the removal process, grinding the resulting stump into the ground is not only a way to minimize its unsightly appearance, but it also makes the process of mowing easier. Lucas Tree offers a wide variety of commercial tree services that will allow you to maintain a stunning landscape with plenty of beautiful, healthy trees and shrubs. Our TCIA accredited arborists will examine your property, diagnose any problems, and develop a tree services plan based on your specific needs. Whether you’re experiencing tree problems, or you want to maintain the integrity and beauty of your trees so that they look their best for many years to come, it’s time to hire a commercial tree service company that has the tools and expertise to do just that. Talk with a Lucas Tree Expert today and find out how our Commercial Services team can help you.